Is it true that acrylamide, a chemical formed during the roasting of coffee beans, transforms your daily cup of bliss into a deadly hazard? 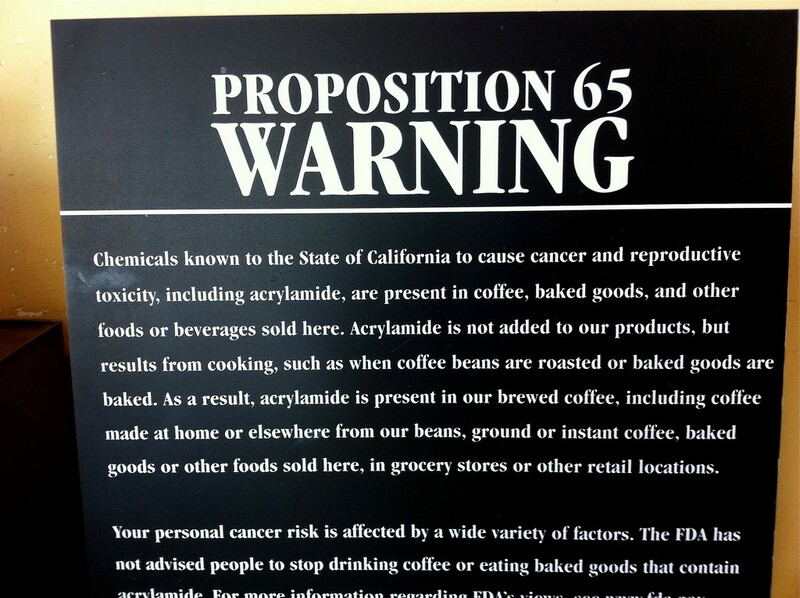 The latest case: the acrylamide produced during the roasting of coffee beans is carcinogenic, and coffee drinkers must therefore be informed and protected! And now it’s time for a little confession: I am a huge coffeeholic. Below 3 cups I can’t move, below 5 cups, I’m still useless. The darker and stronger, the better. Acrylamide is actually a mass chemical which is mainly used to produce a hardening gel which is excellently suited as a sealing agent and is used, for example, in tunnel construction. Bioscientists may also remember the countless failed Western blots that they had to endure during their early carreer… Because even in this standard method of molecular biology, polyacrylamide gels are used to separate proteins. As you get more experienced, you learn how to delegate Western Blotting to your lab slaves students! The chemical structure of acrylamide. Even anti-chemist will agree that it is a quite simple molecule. The toxicity of the chemical only really came to the fore in 1997, when large quantities were released into the groundwater during the construction of the Hallandsåstunnel in Sweden and several cows died in the surrounding area.Ref Responsible for those deaths were the acute-toxic properties of acrylamide as a neurotoxin. Please note: Acute toxicity is the immediate, not time-delayed effect of a poison, which usually requires relatively high doses and is reversible (at least up to a certain threshold) – i.e. after the symptoms have subsided, no or only minor damage remains. If you survive, naturally. In contrast, chronic toxicity is the delayed effect of a poison to which one is exposed in doses over a long period of time. The toxin’s imperceptible effects add up over time and then cause a disease. The most “classic” among chronic-toxic effects: Cancer. So why would I care about a tunnel sealing agent? That’s a valid question. If acrylamide were simply a chemical used as a building material, noone would be talking about it. One could simply use another sealant and mission accomplished. Would be nice. Unfortunately, food chemists will tell you that there is the so-called “Maillard reaction“. This reaction occurs (to put it simply) when starch is strongly heated in the presence of proteins. Through them and various subsequent reactions, a multitude of different products are formed. This applies for desirable aroma components such as found in the bread crust, but also for false aromas (e.g. hyroxymethylfurfural in UHT milk) and then of course unwanted, because toxic substances, such as acrylamide. 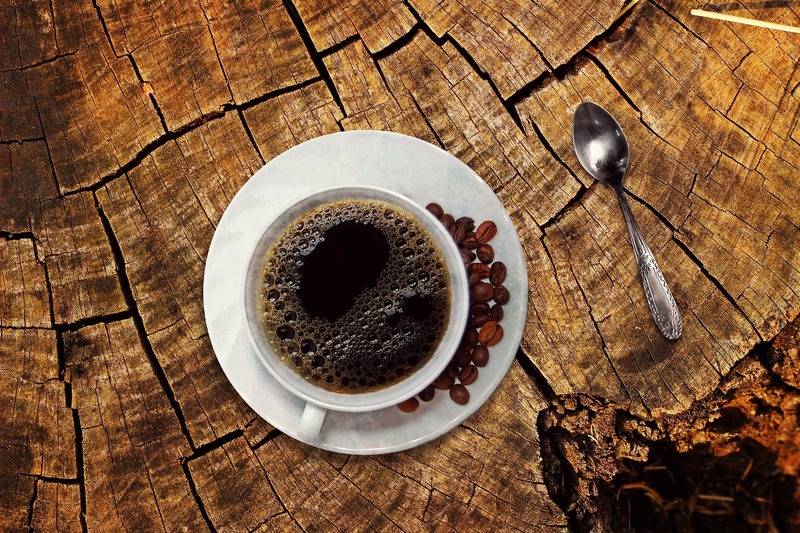 The Maillard reaction is the reason why we find acrylamide also in foods such as potato chips, crispbread or even coffee, where it is produced during the roasting process of the coffee beans. Now, the acute toxicity of the substance in food is not a problem, as the amounts of AA there are far too low to produce these effects in humans. But in the 2000s, a few studies seemed to show that acrylamide could be carcinogenic! And then, hell broke lose. As a follow-up, animal experiments were conducted quickly. And after genotoxic and carcinogenic effects were also found there,ref1, ref2 the WHO classified acrylamide as “probably carcinogenic”, the authorities stepped on the scene and regulated the substance. This means that they set legally binding maximum values, up to which the compound is considered toxicologically harmless and permitted in food. So far, so good. But why would good old Sco habe a problem with warning signs, then? Now what is that, again? Since individual studies often produce contradictory results, depending on their exact execution, specialists wait until a sufficiently large number of publications (in this case more than 30 epidemiological studies) are available. Then, they perform a comprehensive analysis of all available data, which are weighted according to objective criteria (quality of design and execution, number of test subjects, size of observed population, etc.). The result in the specific case (as mentioned): zero influence on cancer risk. Ok, ok, the last one is a single study, and not a meta analysis. But a fun study, anyway. A (for me) very satisfying result: This preventive effect worked neither with decaffeinated coffee nor with caffeine tablets! Ha, take that, Mrs. “More than two cups are bad for you”! My homies know the sentence already. For all others: It is THE legacy of Paracelsus to mankind and means as much as: Only the dose makes the poison. Studies in cell culture like to use completely unrealistic concentrations of a substance to clarify whether effects are possible at all. One of the studies that I quoted above was carried out under the supervision of my current boss. She only saw the DNA-damaging effect on human cells at a concentration of 6 mM (millimol/liter). Probably doesn’t tell you anything, but I just say this much: The genotoxicity of some mold toxins, which occur in comparable amounts in food, is about 1000 times stronger in the comet assay. And I’m talking about non-regulated substances here. Some chemotherapeutics: Factor 1,000,000. 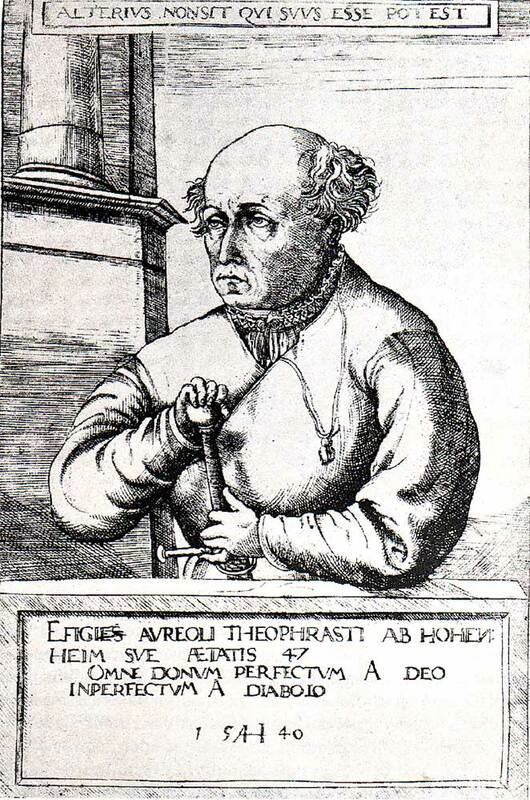 The unbelievable Paracelsus. Pic is public domain. All correct, all quite normal, absolutely no reason for panic. I can understand that scientific noobs in a hyper-nervous (American) society nevertheless come up with the idea that coffee is dangerous. They just don’t know any better. But the fact that a judge in California comes up with the idea of giving this notion more than just a legitimate touch by ordering coffee houses to put up warning notices, I lack any understanding for. This is evidence of the arbitrariness of a justice system that pays more attention to emotional satisfaction than to facts and figures. According to current scientific knowledge, coffee is most probably NOT cancer-causing, no matter the warning signs. So you can enjoy another cup tomorrow morning. Or two. Or three. Or, if your name is Sco, you can also enjoy four. In my blog, I’m stating my honest opinion as a researcher, not less and not more. Sometimes I make errors. Discuss and disagree with me – if you are bringing the better arguments, I might rethink.